The Red Hat Customer Content Services team is looking for a Technical Writer to join us in Pune, India. In this role, you will join a team that promotes customer loyalty and success through content development and delivery. 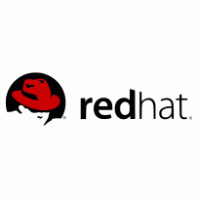 You'll create the feature documentation, user guides, and premium content that accompany Red Hat solutions, which will be made available online through the Red Hat Customer Portal. You will also work on effective scoping, quality testing, and delivery of writing projects, maintain a customer focus by participating in existing programs, and grow your technical expertise and strength. Keep up to date on product changes, customer use cases, and support issues by integrating with specialty groups from the Support Delivery team. Master the use of our internal documentation toolchain, including the publishing platform and issue tracking tools. Excellent capability to establish and maintain communication with subject matter experts and other project team members.